To mark this wonderful day for Prince Harry and Meghan Marckle, we have a window of lovely local scenery in order to celebrate how great and picturesque Kent is... as well as throwing in some wedding themed cards in order to commemorate the big day! Everyone here at the Art Shop hopes that you had a fab time watching the Royal Wedding and enjoying the sunshine, and we hope to see you soon! It's reached that time of year again when you have a great excuse to splash some cash - the January sales are here! We have a varied selection of items for sale, from paints to the paintings themselves (even pieces by Fletcher Sibthorp that are framed with specialist art glass! ); you're sure to find a bargain. From everyone here at the Art Shop, we hope you had a lovely Christmas and an amazing New Year! 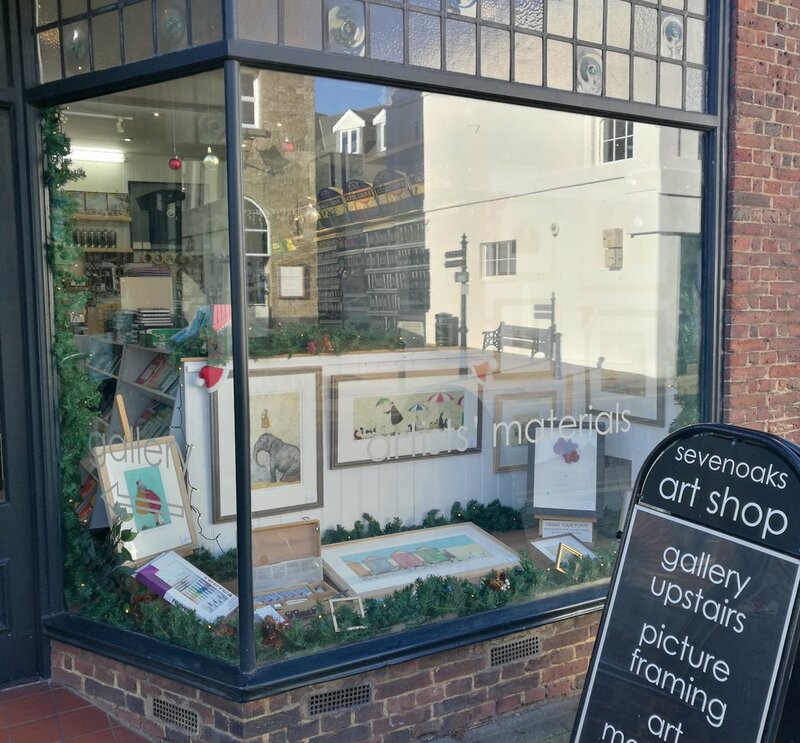 The Sevenoaks Art Shop Christmas window is here! 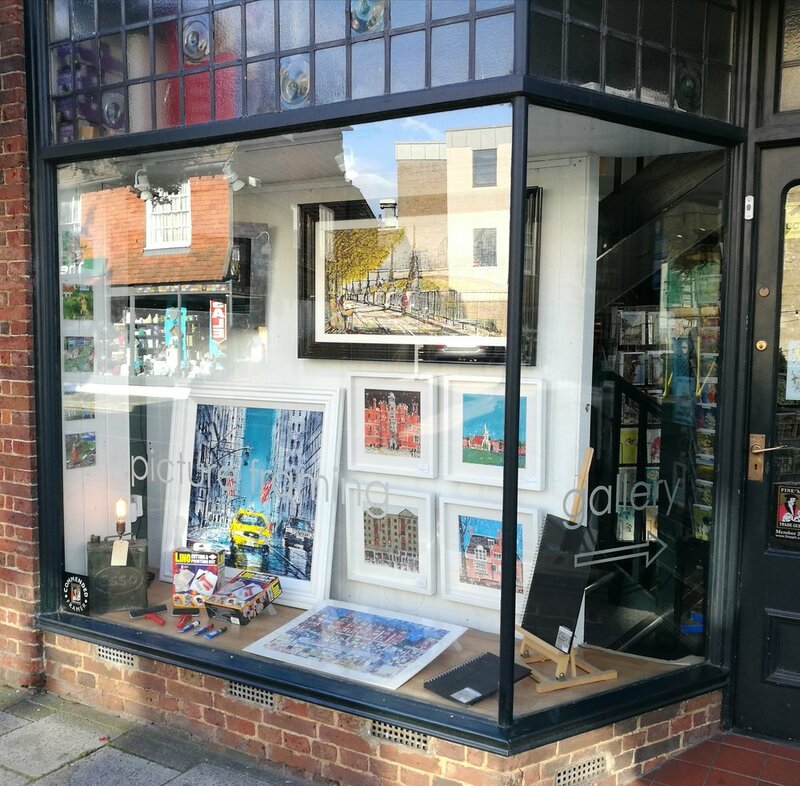 This week we've got a new selection of colourful artist's prints in the window, looking even more lovely with fairy lights and festive decorations. Look out for Sam Toft's quirky characters and endearing illustrations, as well as some fun dogs and cats adorned in hats. 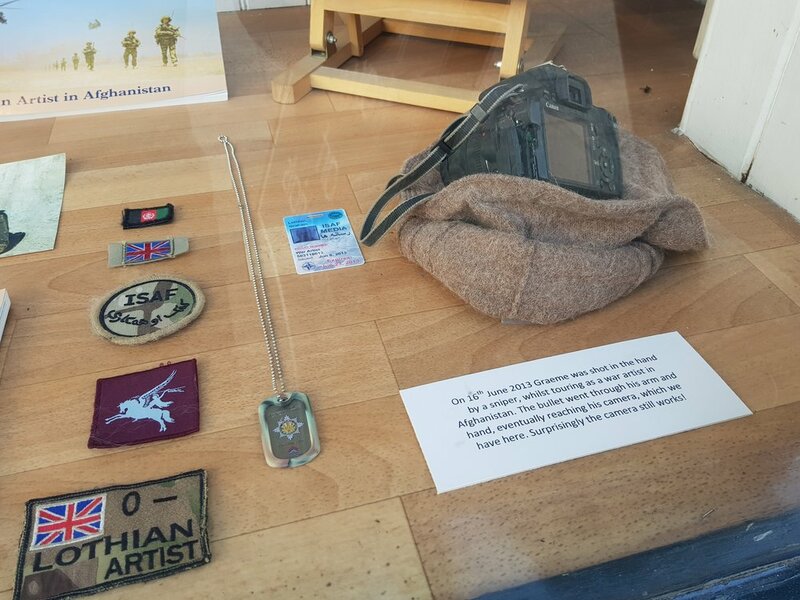 In the window you will spot some beautiful paint sets - just three examples of the sets we have in stock right now. The perfect gift for an artist, whether amateur or professional. And if you're still struggling for gift ideas, don't forget that we sell gift vouchers which can be used to buy art materials, art from our gallery and / or framing! 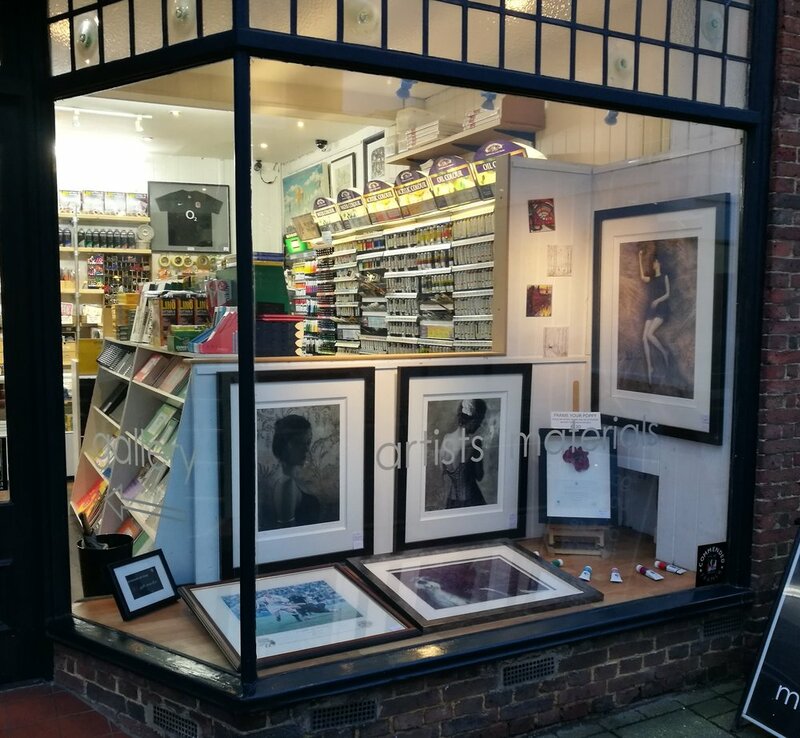 Our new window this week features prints from Fletcher Sibthorp's "Quiet Space" series, as well as a couple of pieces by Melvyn Evans. We also have a special offer on our Daler Rowney Georgian Oil Paints - they have been reduced to only £3.25! Also, in store we have some great pencil sets for anyone who's returning back to school soon and is looking for some snazzy and expressive stationery that will stand out from the crowd! Ranging from the "Depressed" pencil set to the "Storyteller" pencil set, you are bound to find a set that is perfect for you! If you're still looking for the perfect Easter cards make sure to come and visit us before Friday. We hope you all have a lovely (and hopefully sunny!) Easter weekend! With the first signs of spring appearing and Mother's Day just around the corner we've put together a fresh window display with a sample of our beautiful Caroline Gardner Mother's Day cards. Also in the window we have limited edition prints by Debbie Boon that are so full of life and character, our favorite has to be the springer spaniel, just look at those ears! Along with many new prints this week we have also had a recent restock from 'Retro Lamp Works' with more unique lamps now in our gallery. It's Bublé season here at the art shop, and with that we've been decorating, with 'Holly Jolly Christmas' playing on repeat getting us into that festive spirit we are now ready for the Christmas lights switch on this Friday 25th. In our windows this week we have some exciting new pieces by Roger Fitzgerald that are included in his new book 'Buildings of London' presented in beautifully minimal white frames. Can you spot our new little bird garden ornaments? Beautifully crafted and only £30! 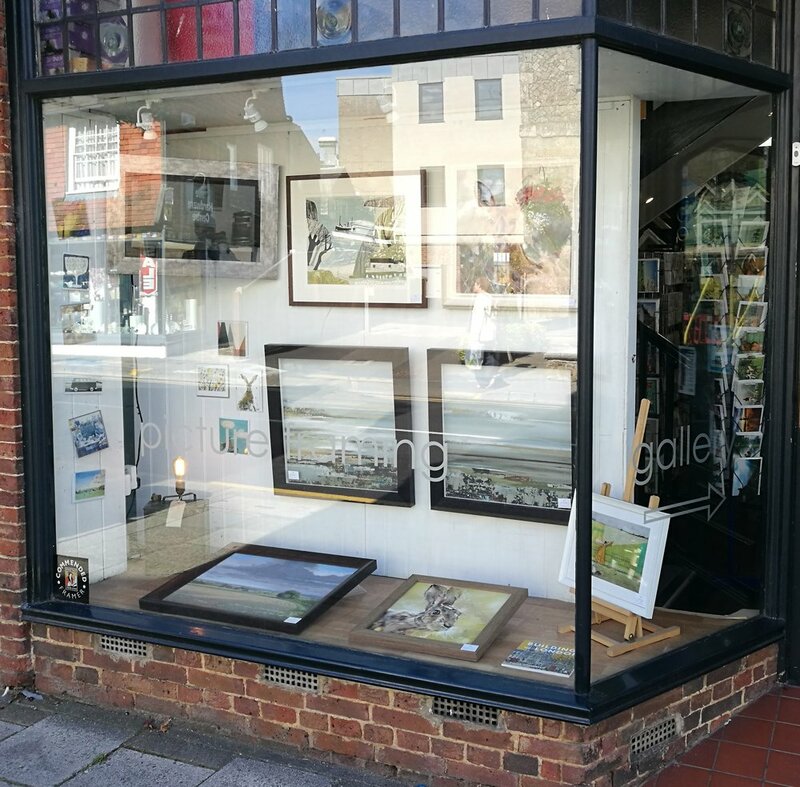 Work by Nigel Cooke and John Russel looking striking in black lacquer frames in our second window this week. P.s Who loves our little baby frame baubles as much as we do?! October is Breast Cancer Awareness month and this week we are supporting Breast Cancer Care with our beautiful pink themed window display for Pink Week. Please share your support and get involved with fundraising by visiting Breast Cancer Care's website.